Croatia’s inland highlights are often overlooked by visitors to the coast. 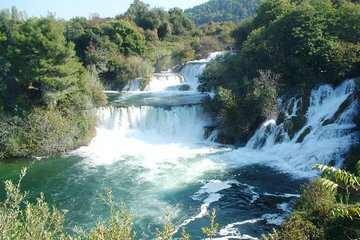 Discover the iconic Krka Waterfalls on a day trip from Zadar, traveling the distance with ease via minibus. Avoid the restrictions of a rushed tour with free time to explore the park’s lakes, nature trails, and landmarks at your own pace, before relaxing on the return leg with round-trip transfer from your hotel.